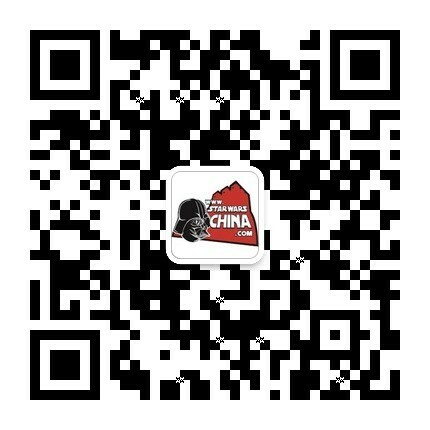 ﻿﻿ “千年隼号”（Millennium Falcon） - Databank - 星球大战中文网 Star Wars China - Powered by Discuz! Beneath its hull, though, the Falcon packs many powerful secrets. Its owners made "special modifications" on the freighter, boosting its speed, shielding and performance to downright illegal levels. Its weaponry has been upgraded to military-class quad laser turrets. To cover rapid escapes, the Falcon sports a ventrally mounted hatch-concealed antipersonnel repeating laser. Between its forward mandibles rest concussion missile launchers. The habitable interior of the vessel also has a few surprises, such as concealed scanner-proof smuggling compartments. The Falcon began life as a standard Corellian Engineering Corporation YT-1300 stock light freighter an unknown number of years ago. It eventually was won by gambler Lando Calrissian in a sabacc game. During Lando's first year of ownership, he had adventures in the Rafa system, the Oseon belt, and the Starcave of ThonBoka. It was Lando's idea to install hidden cargo sections under the Falcon's deck-plates. At this time the Falcon had a pair of smaller blasters located on the bow mandibles. Calrissian and his droid Vuffi Raa also increased the ship's shields. The Falcon gained one of her most significant battle scars, a huge tear near its entry ramp, when a Renatasian Confederation starfighter rammed her. Solo continued the modifications that Calrissian began when the Falcon came under his ownership. Her armor, armament and speed have all been upgraded. The Falcon features duralloy plating over most of the vital areas of its hull. A set of advanced Kuat Drive Yards, Novaldex, and Nordoxicon shield generators stolen by Solo from the Myomar shipyards provide the Falcon with warship-grade shielding. A set of high-grade sensor suites are tied into the Falcon's dorsal rectenna sensor dish. Powerful sensor jammers also protect the Falcon in combat, although the first time the jammer was tested, it disrupted the information relays inside the ship. To reduce his expenses, and maintain his privacy, Solo has modified the Falcon so that most of its major systems can be accessed through the cockpit or the tech station in the forward compartment. The myriad of ship control functions are funneled through what was once a Hanx-Wargel SuperFlow IV computer. It has since been modified with three droid brains, that causes the Falcon to have schizophrenic arguments with herself. The Falcon's interior appears unkempt, and is littered with all sorts of mechanical gear. Its central hold has a lounge area with a holographic game table. The ship also has hidden cargo holds under its deckplates, and a cargo-jettison feature. The Falcon lacks a bacta tank, so it is equipped with a cryogenic hibernation capsule for emergency medical procedures, or for the transport of live cargo. 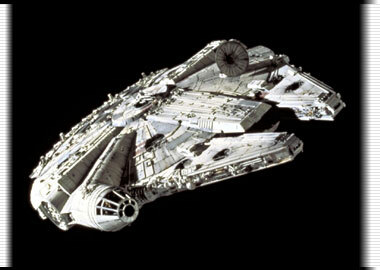 The Millennium Falcon was not always elliptical in shape. Its original design was much more rocket-like, with a symmetrical, somewhat cylindrical body leading up to the characteristic cockpit up front. 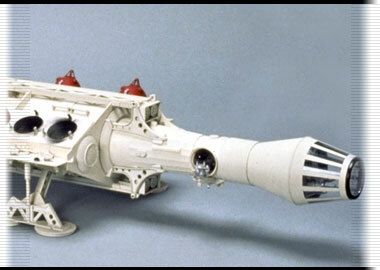 During Star Wars' production, however, a similar design appeared in the television show "Space: 1999." Rather than appear as an imitator, George Lucas called for the original Falcon design to be retooled as the Rebel blockade runner. The new Falcon design was instead based off of Lucas' favorite food. 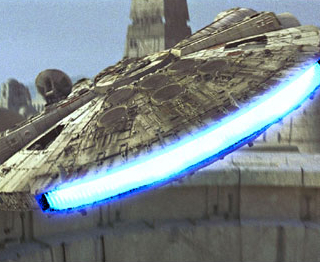 Lucas would later say that the Falcon was inspired by a hamburger, with the outrigger cockpit being an olive off to the side.